Covers a range of production methods. As well as describing each process, this work offers guidance on its pros and cons and on suitable production volumes, the costs involved, speed of production, relevant materials and typical applications. There are many different ways in which a product can be manufactured but most designers probably know only a handful of techniques in any detail. 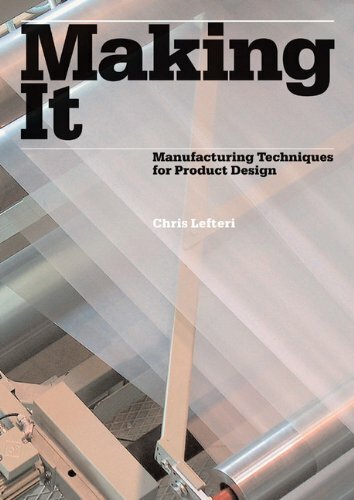 Both informative and inspirational, "Making It" covers a broad range of almost 90 production methods. As well as describing each process, this text offers guidance on its pros and cons and on suitable production volumes, the costs involved, speed of production, relevant materials and typical applications.